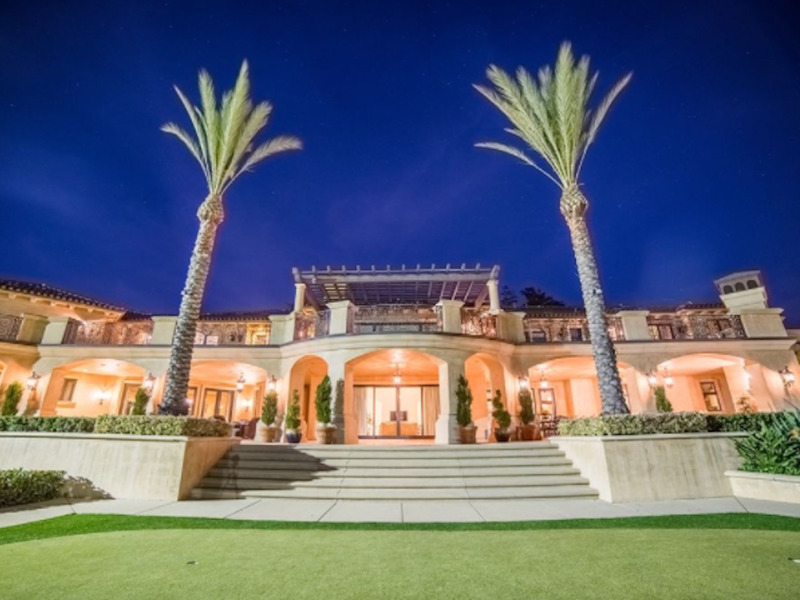 From listing on TruliaThe 19,000 square-foot home has a full-sized batting cage. 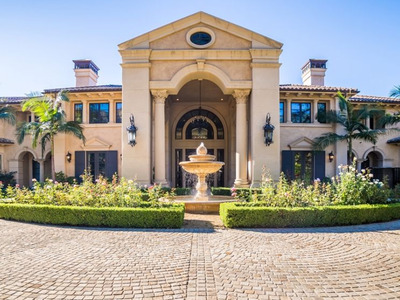 Lynsi Snyder, the billionaire president of In-N-Out Burger, listed her Southern California home for $US19.8 million. She moved into the mansion in 2012. 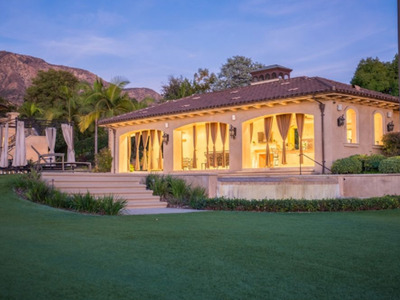 The property includes 18 bathrooms, 10 bedrooms, athletic courts, a guest house, cabana, and other luxurious additions. After five years in her mansion, billionaire president Lynsi Snyder is moving out. 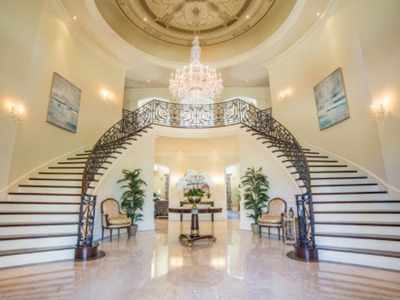 The heiress of the fast food burger chain listed her California’s San Gabriel Valley home for $US19.8 million. The area is home to the first In-N-Out restaurant and In-N-Out University. Snyder inherited half of the company in 2012, and bought the 19,000 square-foot home that same year. The 35-year-old became In-N-Out’s sole owner earlier in 2017 and is one of the youngest female billionaires. In-N-Out is expanding to Colorado, but the reclusive president hasn’t said where she’ll move next. 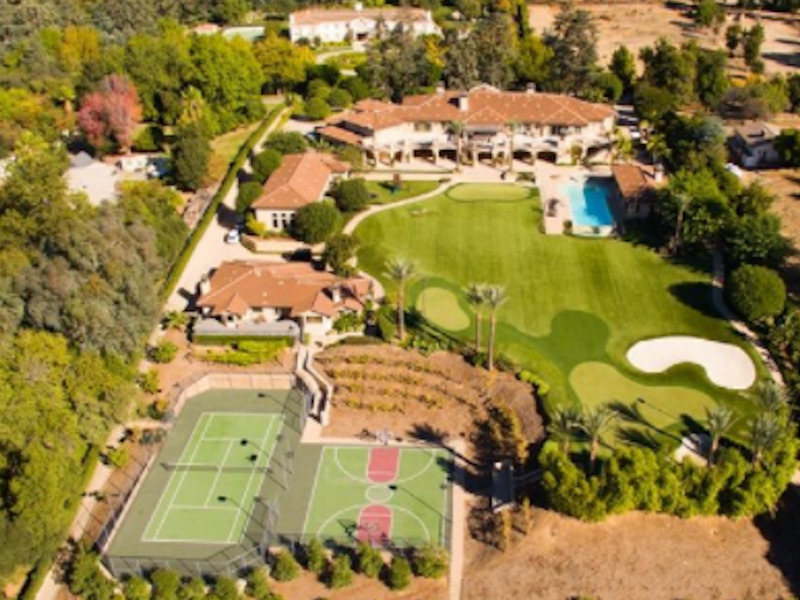 The property is in the small city of Bradbury — one of the wealthiest areas of the country. The town has gated communities from its history in horse ranching and one ranch is still right next door. 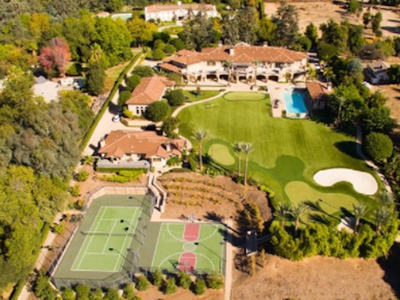 Snyder purchased the home in 2012 from baseball star Adrian Beltre, who installed a full-sized batting cage. Athletic types can also get their work in with full-size basketball and tennis courts and a chipping and putting green for the golfers. A dance studio and exercise room can be found indoors. The property is great for outdoor entertainment with a fire pit surrounded by shade from palm trees and the nearby mountains. The flat back lawn is spacious and provides a wonderful view for visitors. 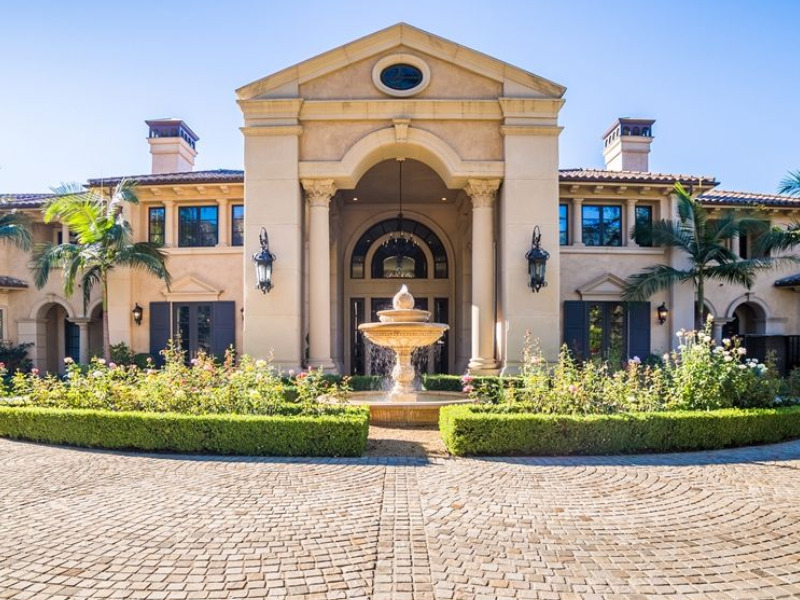 Spanning 4.16 acres, the mansion has 10 bedrooms and 18 bathrooms. The main house also contains a temperature-controlled wine cellar and tasting room, perfect to store some drinks from the California grapevines. The master suite is chock full of amenities such as a fireplace, adjoined second bedroom, and massive closets and bathrooms. 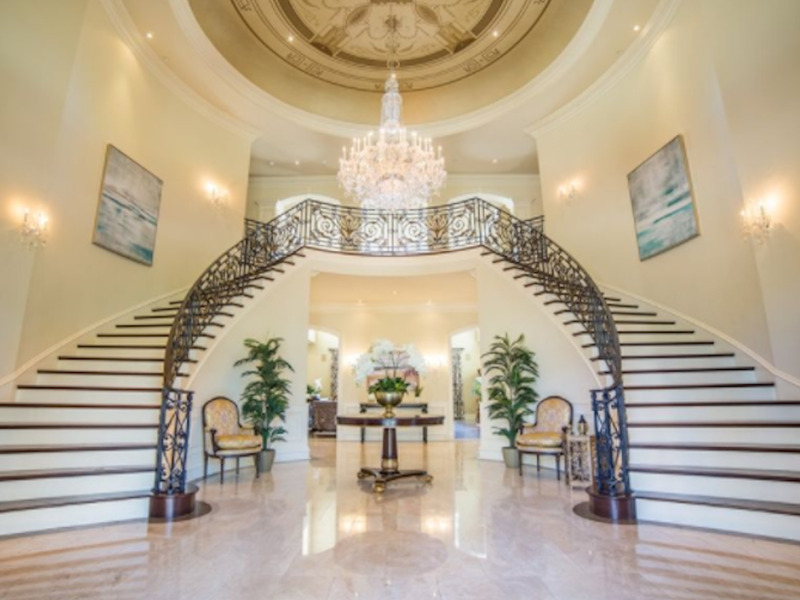 The home has a private spa and sauna for extra pampering. Children can have their own fun with an outdoor playground, jungle gym, trampoline, indoor game room, and 20-seat movie theatre. There is a 2,500-square-foot guest house with three bedrooms, two bathrooms, bamboo floors, and a two-car garage. 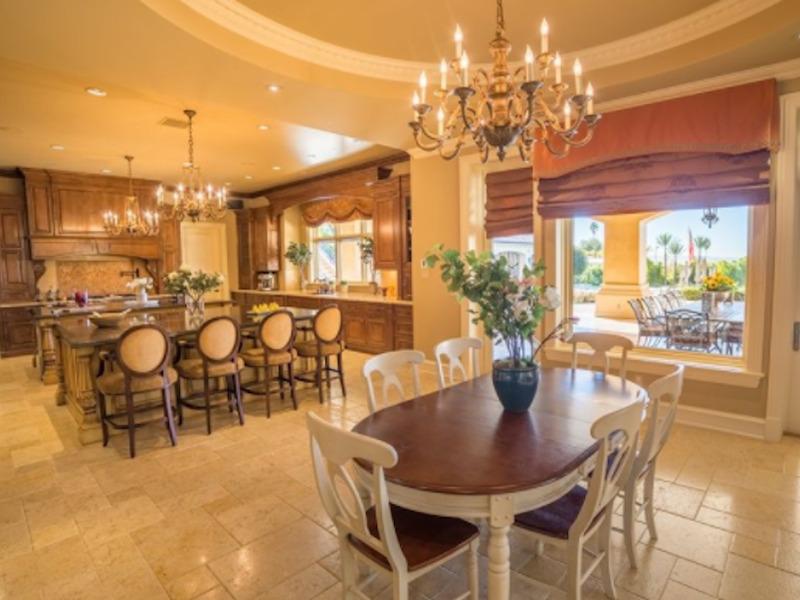 Guests can also make themselves at home with a fully functional kitchen stocked with Viking appliances. The poolside area has kitchens and dining facilities indoors and outdoors so cooking and eating can be done even in the rare California rain.